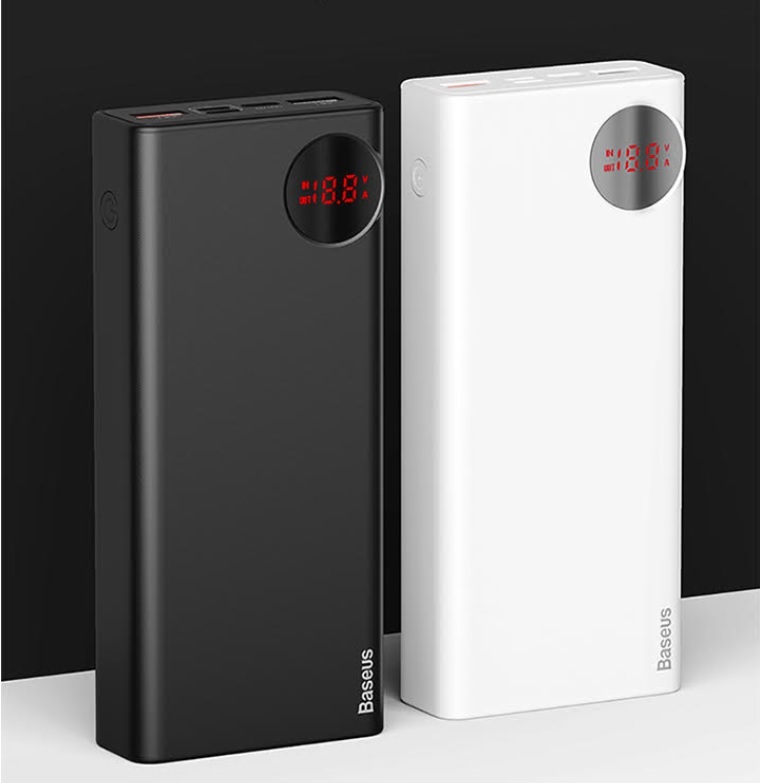 Baseus Mulight is a PowerBank with Quick Charge function and a digital display with a capacity of 20000 mAh. 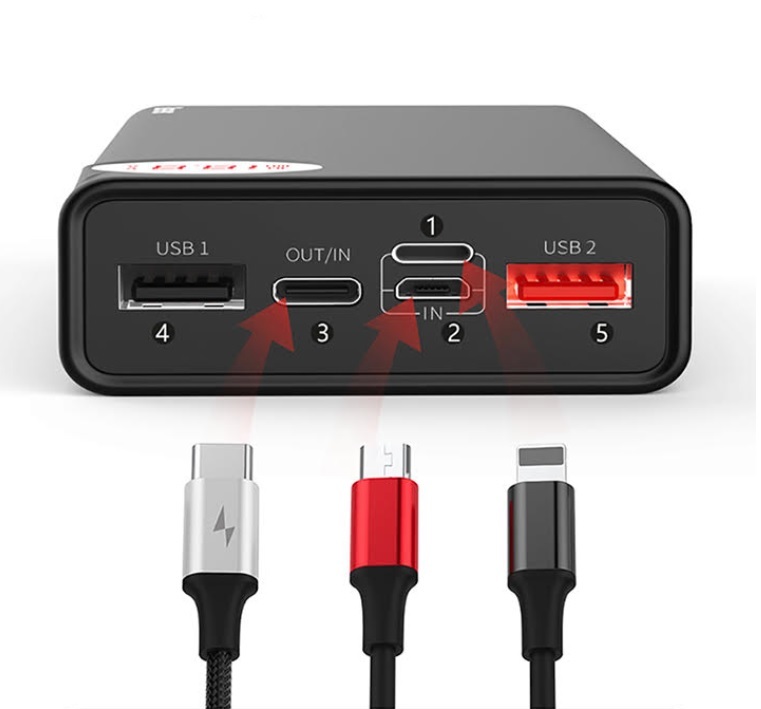 It also has 5 sockets (In and Out) that allow you to connect almost any device to it. The housing was made of high quality materials – ABS and PC. At the same time the device is light (only 340g) and slim, and the housing is pleasant to the touch. The built-in LED display informs you about the current charging voltage, energy level and charging current. 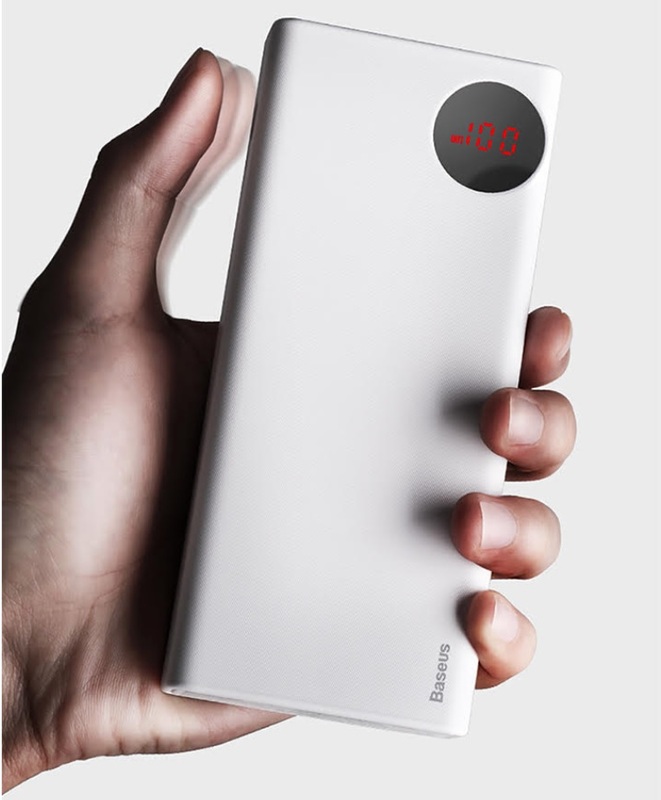 Power Bank has many security features, such as protection against overcharging, overheating and short-circuits. Baseus Mulight has the highest technological standards to improve loading. The PD3.0 standard is one of the most modern charging standards. The power transmission has been boosted to a maximum of 100W, data transfer to 10Gb per second and two-way port (In / Out). He can also adjust the maximum voltage and current to various phone models guaranteeing fast and, most importantly, safe charging. 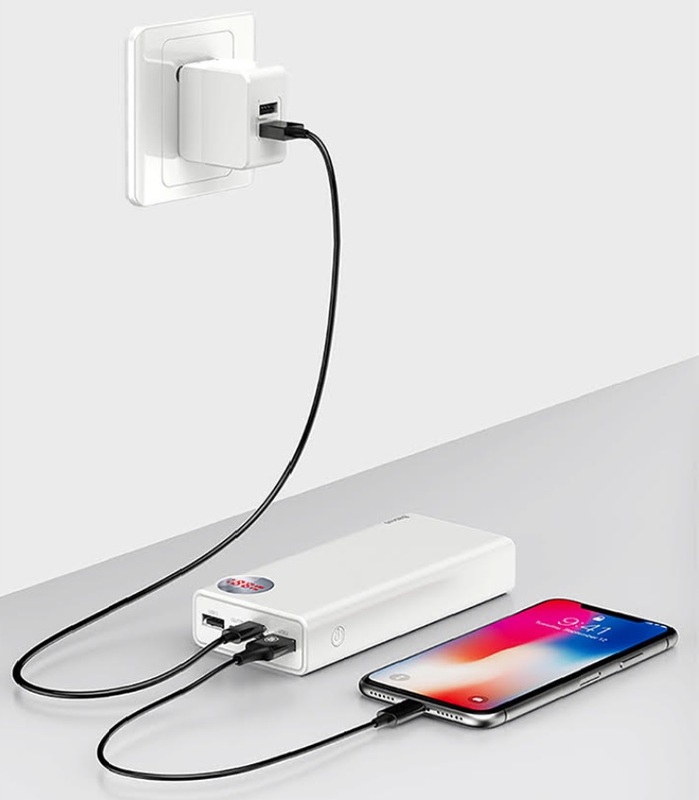 The QC3.0 standard allows for four times faster charging than in the case of classic chargers.With the help of Mulight powerban we can charge two devices at the same time. Baseus, as one of the most innovative producers of powebanks in the world, uses solutions that are to facilitate access to the widest range of devices. Thanks to the built-in five sockets, we have the option of connecting the cable with all available terminals on the market. 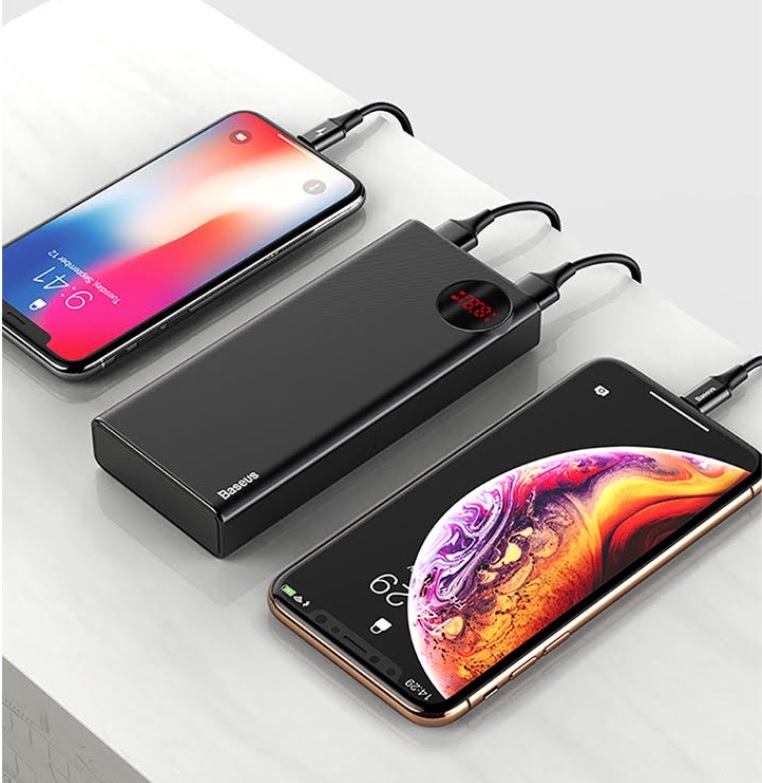 One of the innovative solutions is undoubtedly a USB-C socket, which we can charge the phone and the powerbank itself without the need for an additional cable. Mulight will also serve as a backup source for Apple brand computers (MacBook). 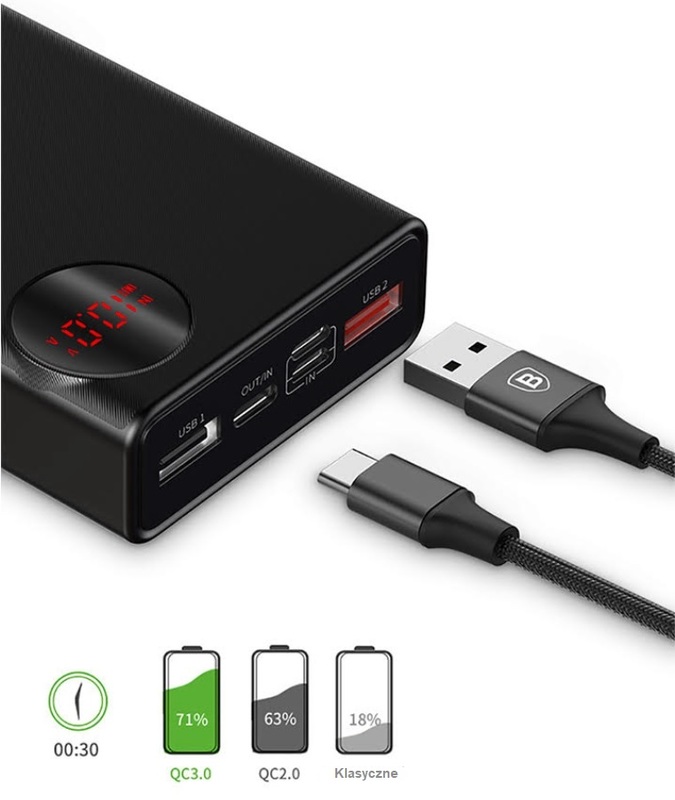 An interesting solution is the ability to simultaneously charge powerbank and phone.